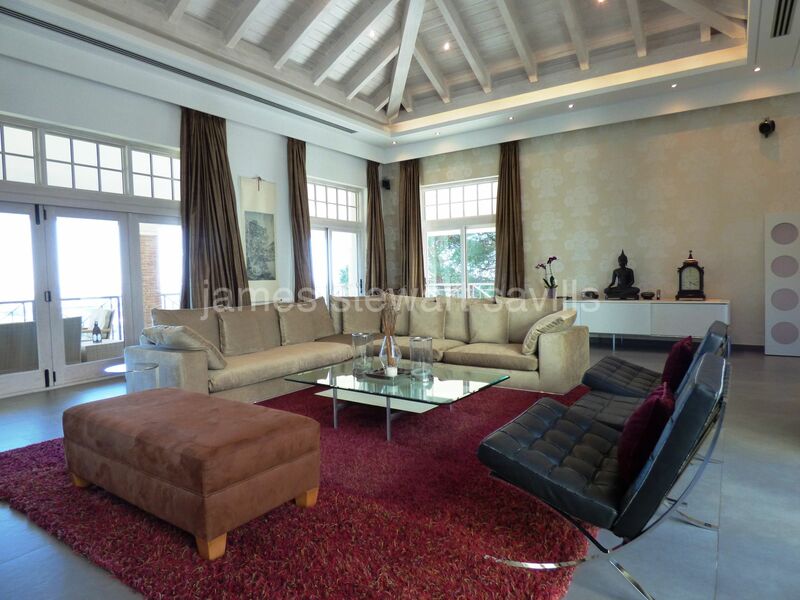 A truly exceptional villa built on 4 floors with lovely sweeping views of golf and countryside towards the Mediterranean sea. 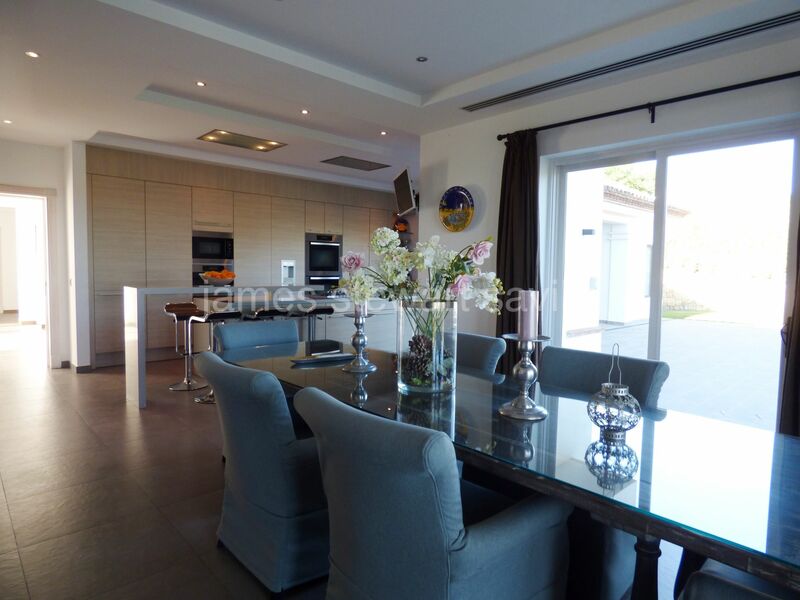 The villa, which is of Andalucian exterior and contemporary interior, is in immaculate condition and has been built to a very high standard with all modern conveniences. 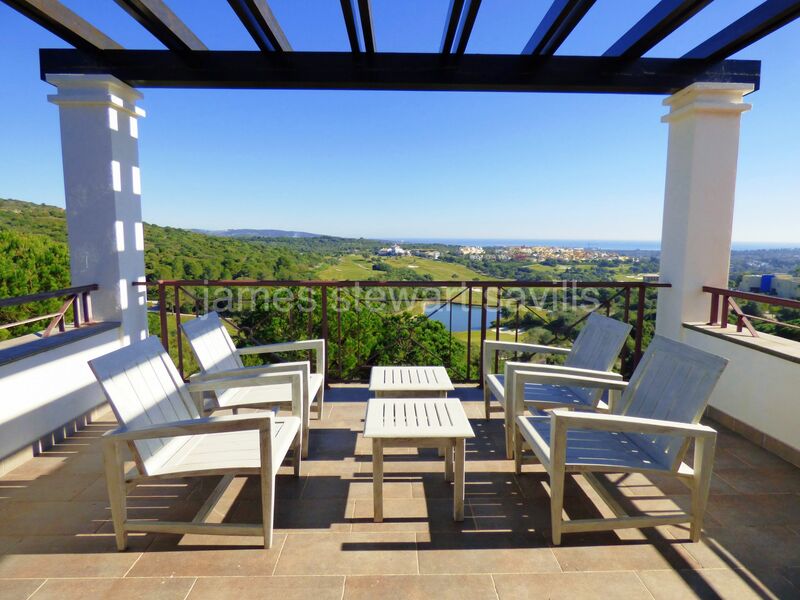 The design is around an Andaluz style central patio creating lots of light throughout and great views from all floors. 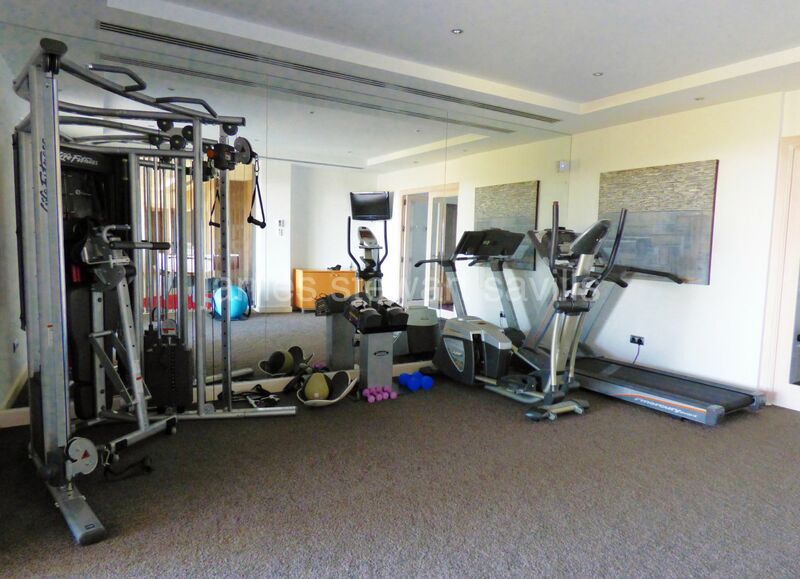 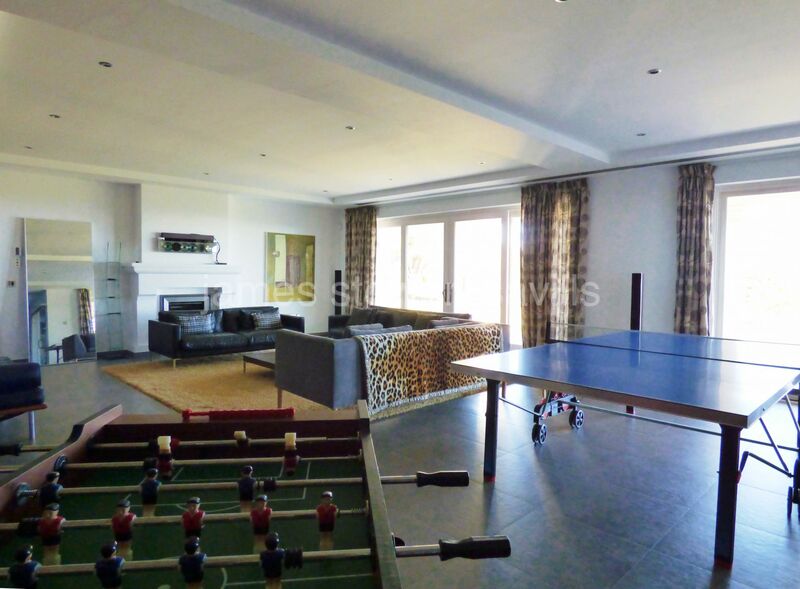 There are 6 bedroom suites, modern kitchen with dining area, study, games room, gymnasium, tower room plus other areas. 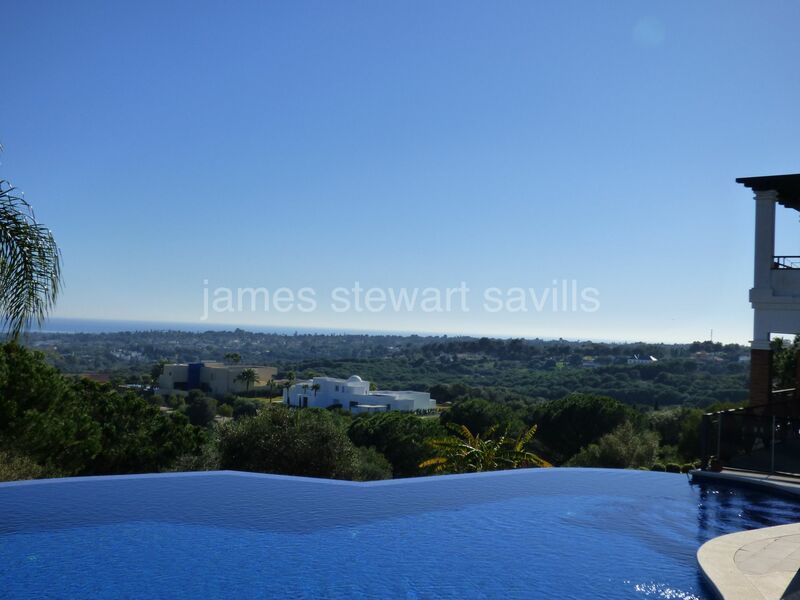 There is a garden area and various terraces including a large covered terrace which wraps around the mid floor leading to a spacious barbecue area next to the 108m2 infinity edge pool. 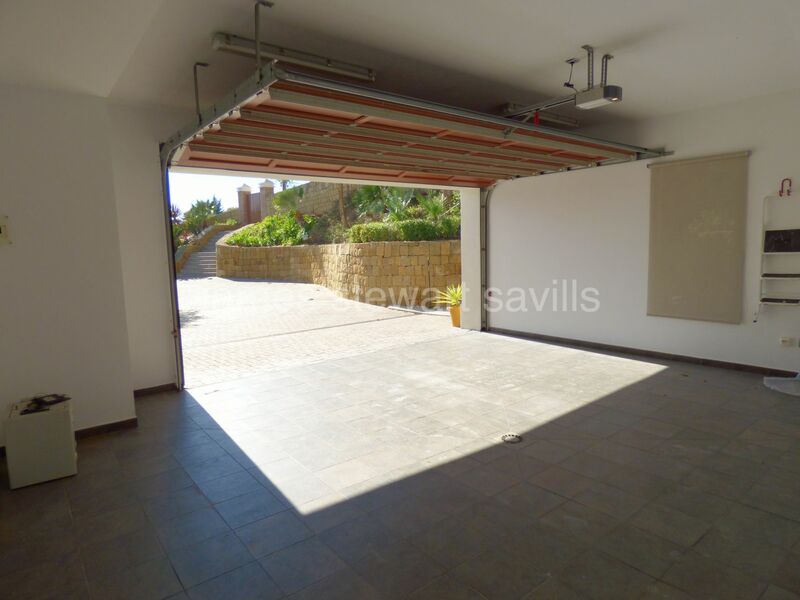 The garage, which is linked into the villa, is for 2 cars with plenty of further parking space on the entrance forecourt. 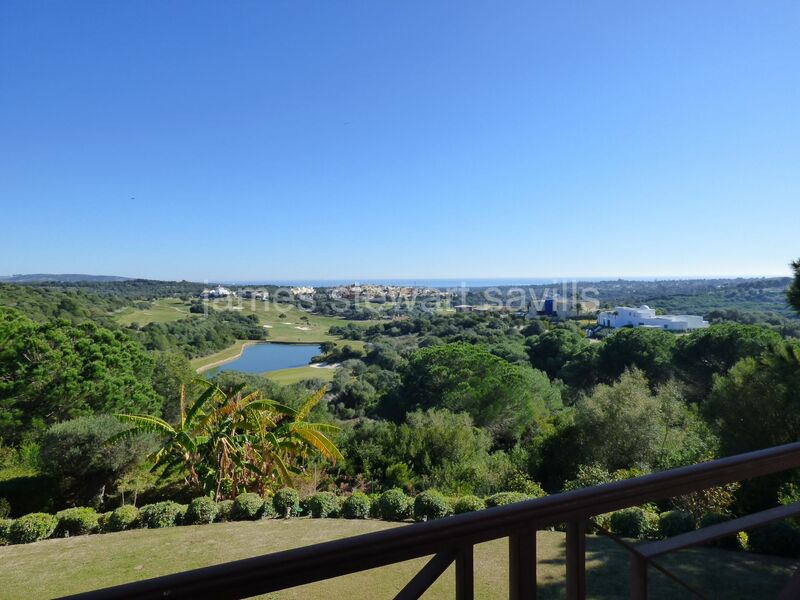 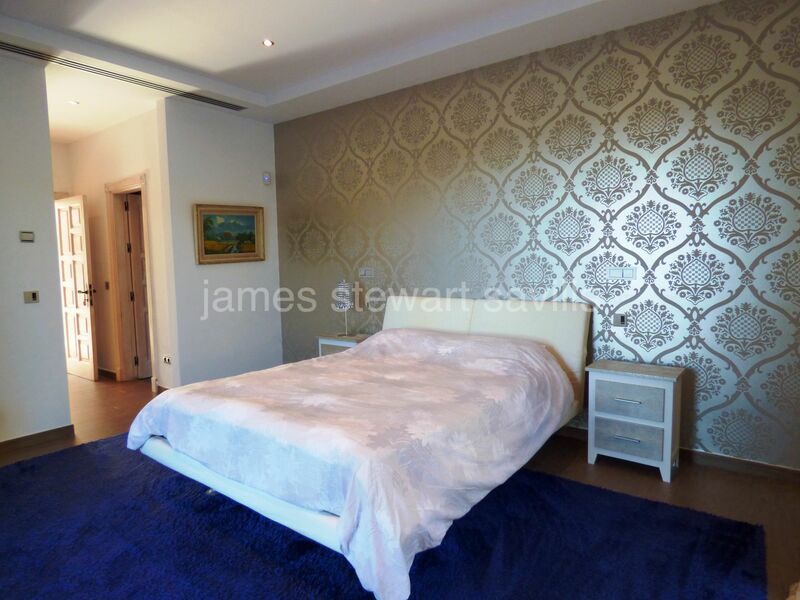 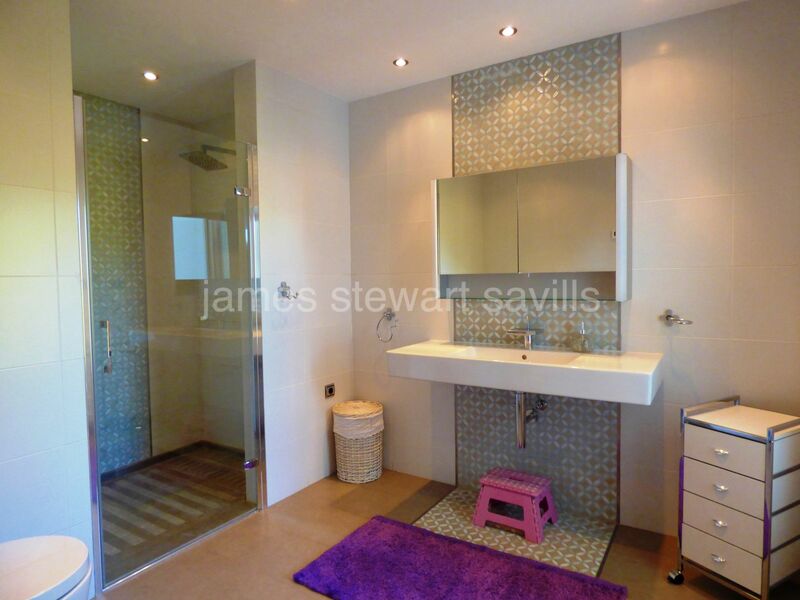 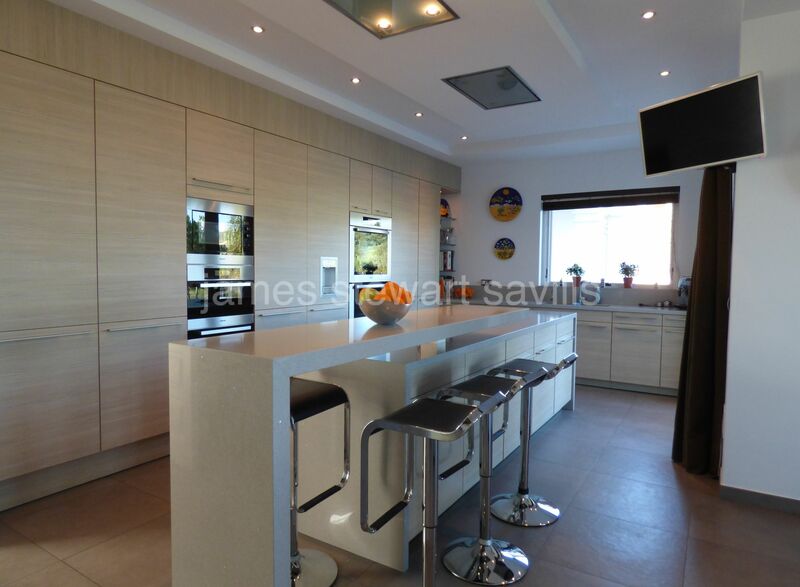 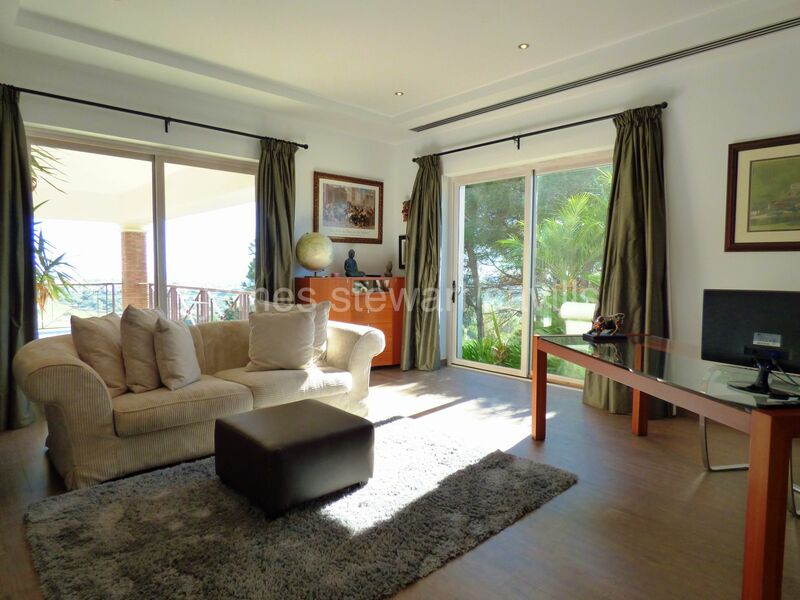 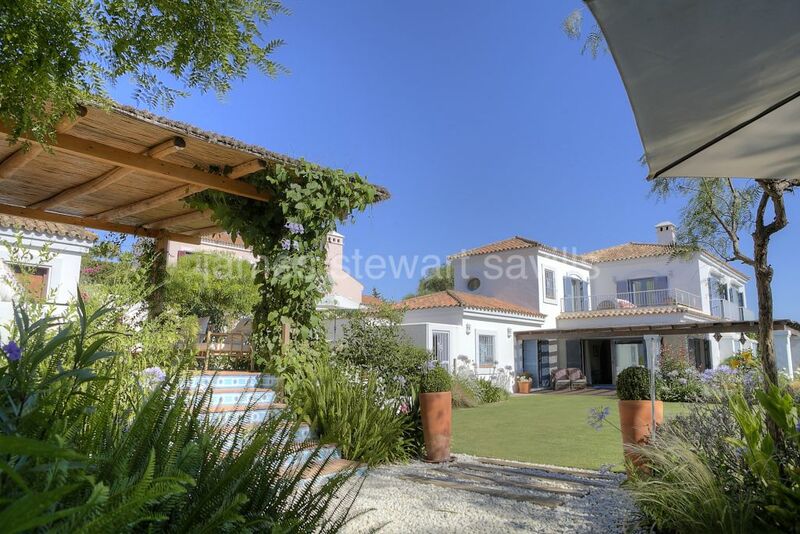 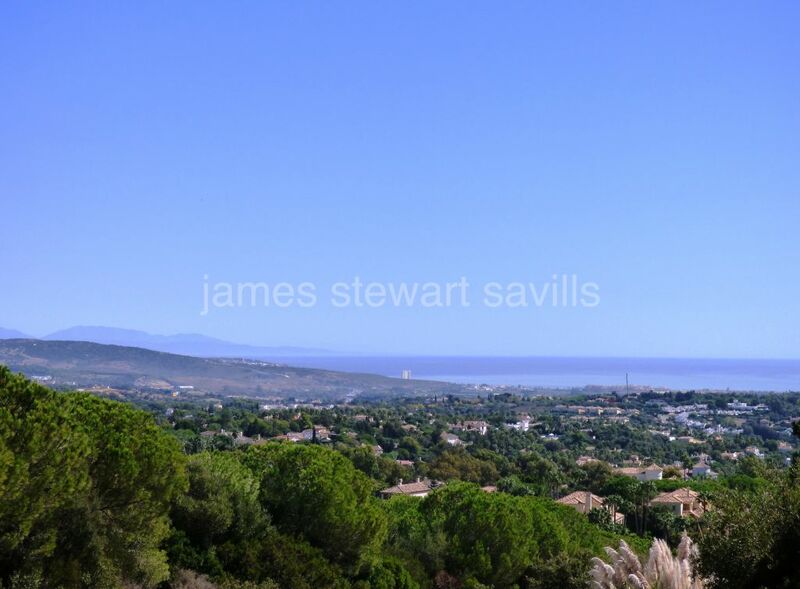 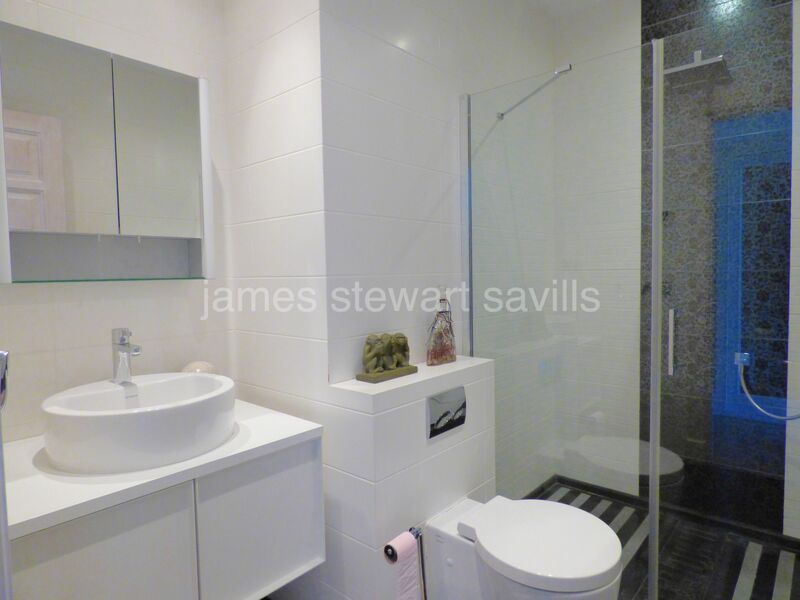 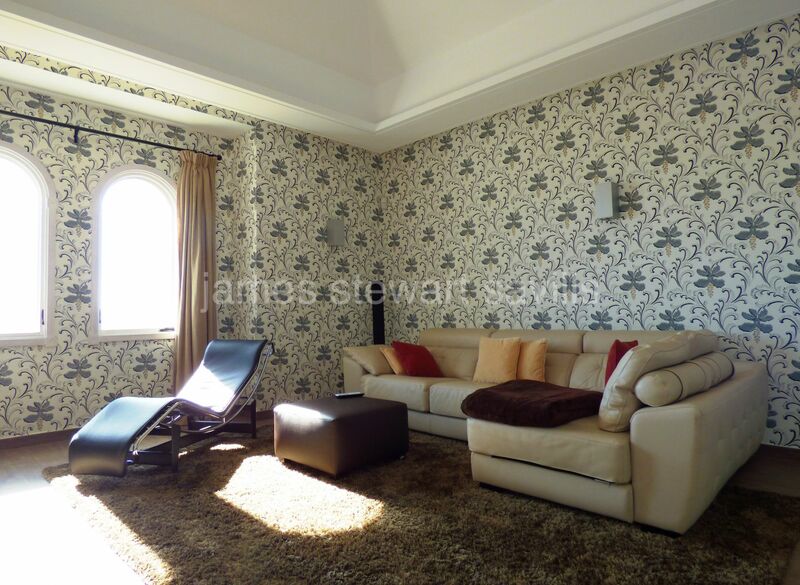 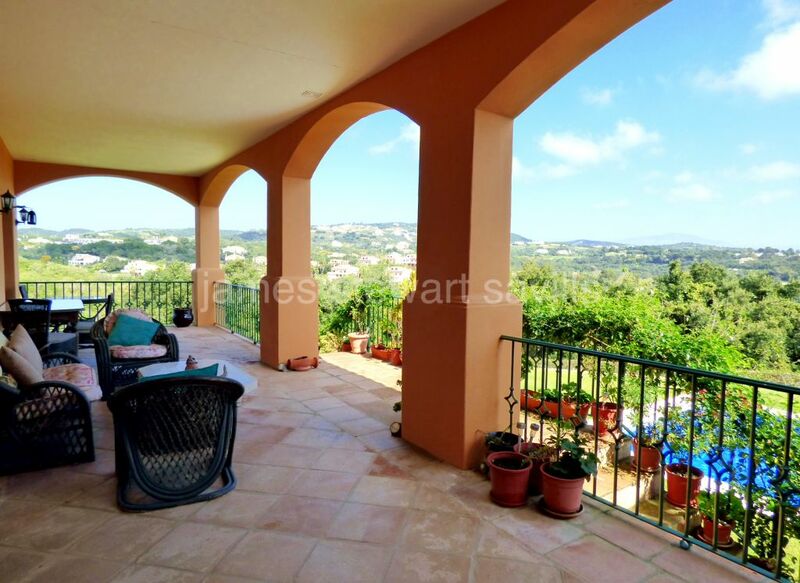 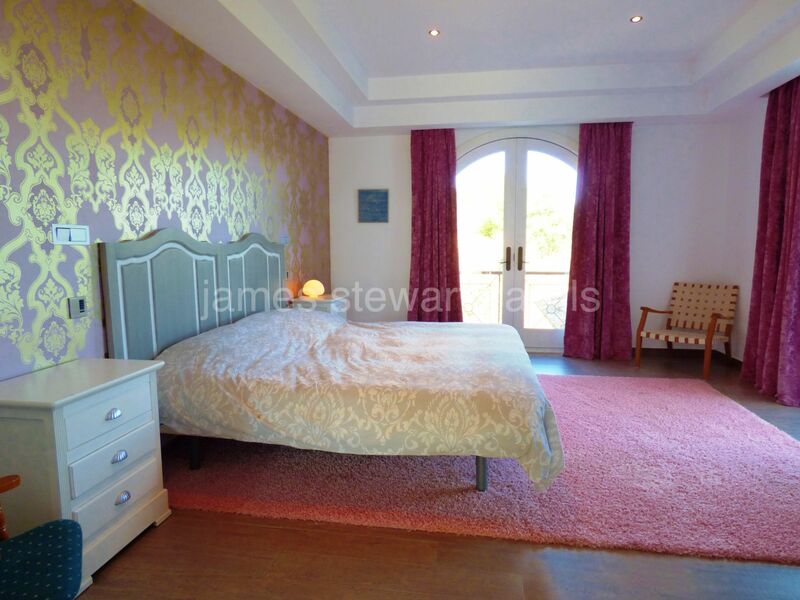 A super property which enjoys some of the best views Sotogrande has to offer. 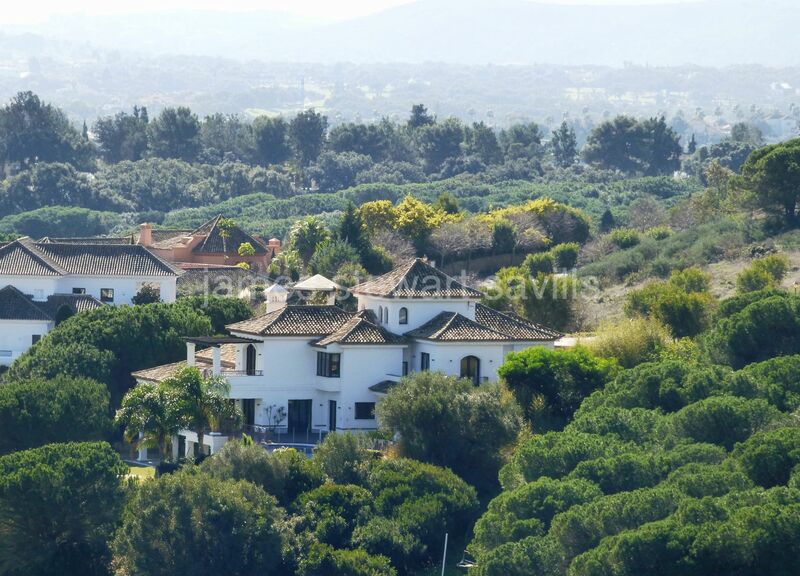 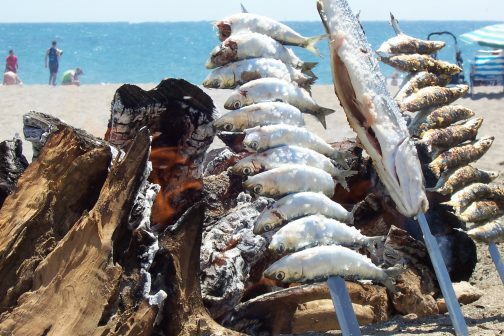 Sotogrande, Villa en Sotogrande bajo.